Lubuto library programs give children the opportunity to learn, progress with their education, and develop confidence, life and career skills. Each Library has unique library users and the programs at each library are different. This flexibility allows each library to better meet the wants and needs of their community. The programs listed below are just examples of programs that each library community may choose to implement. Reading aloud, an essential part of literacy development, is carried out daily by library staff, teachers, regular volunteers and library visitors, as well as by and among the children themselves. Beyond reading, storytelling and sharing are a very important part of library and community activities. OLPC laptops and computer programs were introduced at Fountain of Hope Library in February, 2009. 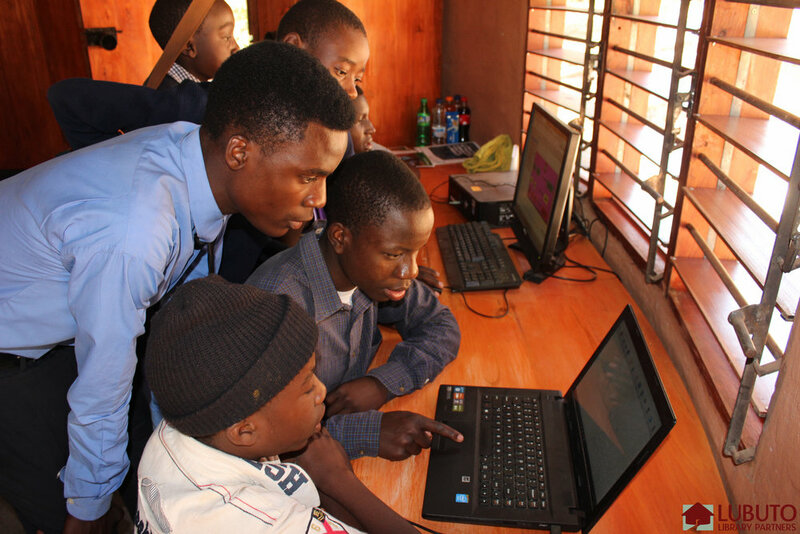 All three Lubuto libraries now have computers, which are very heavily used—particularly to improve language and computer skills. One recent addition to the libraries is the introduction of iSchool tablets, touch-screen tablets loaded with interactive lessons for the Zambian primary curriculum. In 2012, Lubuto launched 700 LubutoLiteracy lessons, reading lessons in seven different Zambian languages. These lessons were created by Zambian teachers and youth to serve as engaging learning tools. Originally in an eToy format, these lessons have been updated and will soon be released in an even more accessible format. It is our hope that children and teachers in communities both close and far away from Lubuto libraries will use these new literacy lessons. Our Visual Arts Program has developed the talents of Lusaka’s vulnerable youth since the first library opened in 2007 and our 2009 exhibition of their work at the Henry Tayali Gallery. The Stella Jones Gallery—located in New Orleans, Louisiana—invited Lubuto’s artists to exhibit and sell their work in June 2011. The tremendous enthusiasm ignited by this exciting offer from Stella Jones engendered LubutoArts, a self-sustaining art training program supported by a percentage of the proceeds of the sale of artworks. Lubuto libraries hold programs in drama, improvisation, and adapting books and stories for performance. On the important role these programs play in the children’s lives, the actor (and Lubuto supporter) Danny Glover noted that it “reinforces their sense of themselves and re-establishes a different confidence in them. Like my own experiences in acting when I was young, it sets something in motion … a way to organize the emotional life within you. To watch these young people engaging in that and claiming it for themselves is very special.” Hear Danny Glover tell how theater empowers vulnerable children. In addition to drama offerings, Lubuto has also developed music programs for young people. Many children really enjoy drumming, which prompted the introduction of LubutoBeats. In addition there are programs that teach music basics (i.e. rhythm, scales, etc...), which has been very well received by participants. 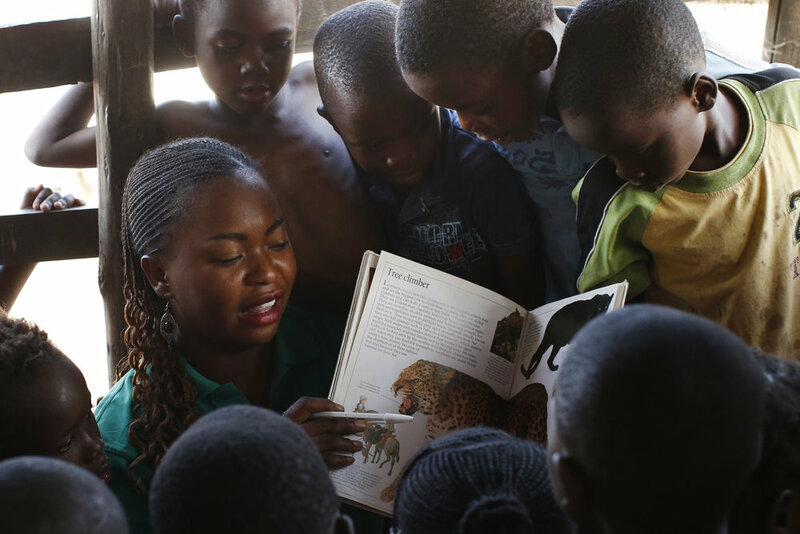 This popular, interactive program teaches Zambian values by integrating traditional stories containing strong moral components and offering counseling to address individual and collective needs. Sessions are conducted in Zambian languages and are not only useful in building self-esteem, but in helping to connect young people with society.